Located in the eastern coast very close to the city of Zakynthos it is together with Kalamaki, Laganas, Argasi and Alykes a town with modern tourist infrastructures where close to a crystal clear sea there are many possibilities for a holiday of wild enjoyments. In the last years Tsivilì has increased its facilities with new amusements (bowling, mini-golf, water park, entertainment center), tourist shops and restaurants so that the tourist has only to choose where to spend his time for a dinner and a funny night. 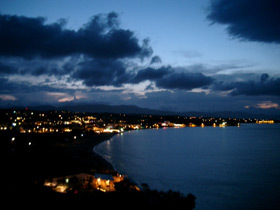 Tsilivì beach is one of the most tourist of the island. It is a long tongue of sand and the sea has a sandy depth for 40 metres going offshore afterwards it becomes rocky. Tsilivì is connected to Zakynthos with daily buses. There are many rentals where to hire cars, motorbikes, jeeps or bicycles to move around the island. There are many shops in Tsilivi and of every kind: supermarkets, cake shops, souvenir shops, jewellers and many others. At night after having chosen among the many typical taverns, with international cuisine, there are many Italian and Chinese restaurants to have a drink in one of the many pubs with modern pop music. There are also an entertainment center, a water park, a bowling, a mini-golf and many places where you can have karaoke or watch a film in original language or sporting events. It is a big town offering different lodging solutions such as hotels, apartments, studios, villas of every sort and for every necessity. 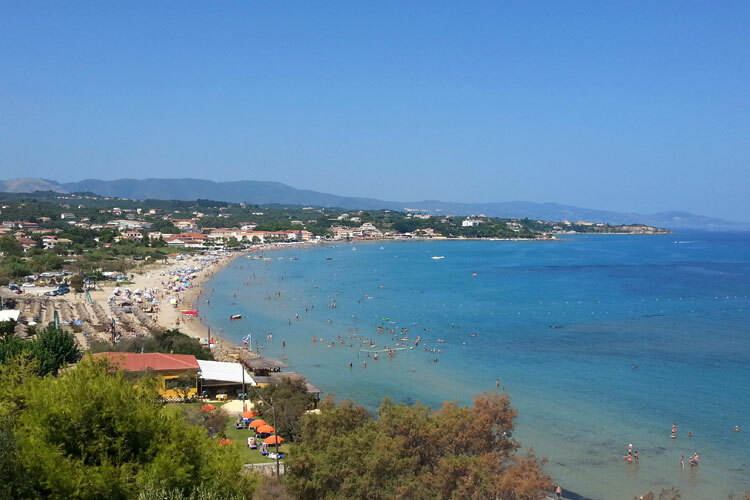 You can find a place close to the beach or in the inland hills; outside Tsivilì there is also a camping site. Breeze Villa is a stone villa with private garden and private swimming pool. It‘s the perfect for 4/6 persons with 2 bedrooms, 2 bathrooms, open-plan kitchen and sitting room. Our camping has 40 covered places for campers and caravans and over 200 places for tents surrounded by olive trees. This beautiful complex consists of two villas and each can accommodate up to 6 people. Each one has private swimming pool, underground parking, BBQ, Wi-Fi internet access and more. The Fiorentinos villa is located just 170 meters from the sandy beach and can accommodate 8 persons. It consists of a two bedroom villa and a guesthouse in the same premises, a swimming pool and an outdoor Jacuzzi. Villa Coral can accommodate up to 6 people and consists of 2 bedrooms (one with double bed and the other with 2 single beds), living room with sofa bed, equipped kitchen, bathroom and large veranda with private pool. It is 150 meters from the sea.